Mpow Bluetooth Receiver & Car Charger Just $25.99! Down From $54! PLUS FREE Shipping! You are here: Home / Great Deals / Amazon Deals / Mpow Bluetooth Receiver & Car Charger Just $25.99! Down From $54! PLUS FREE Shipping! Score this #1 Best Selling Mpow Bluetooth Receiver & Car Charger at Amazon for just $25.99 down from $53.66 PLUS FREE shipping! 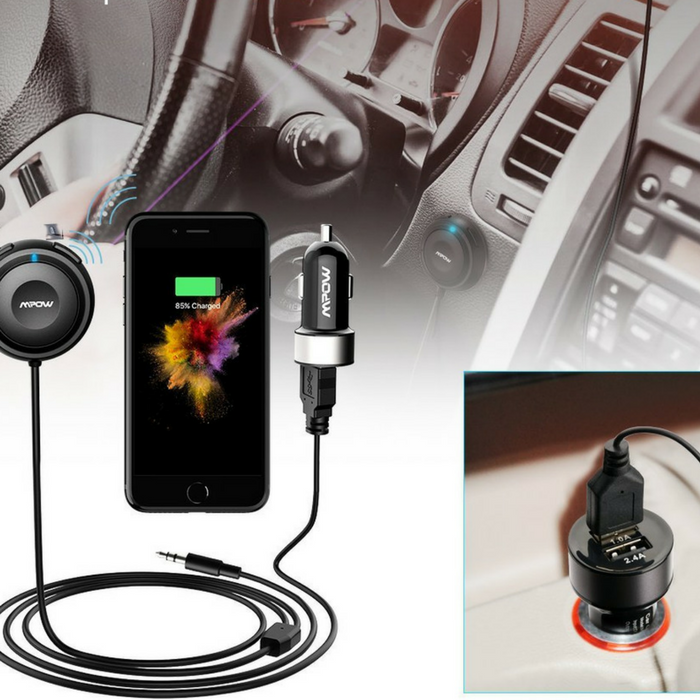 Mpow sells Bluetooth receiver with bundling Ground Loop Noise Isolator, which helps decrease the buzzing noise some cars make while playing music, thus giving you the best music experience. It works with almost all Bluetooth devices and all cars with a 3.5mm input. Stream audio through 3.5mm input in car stereo and enjoy your favorite music from phone/tablet/MP3. Makes a great gift!